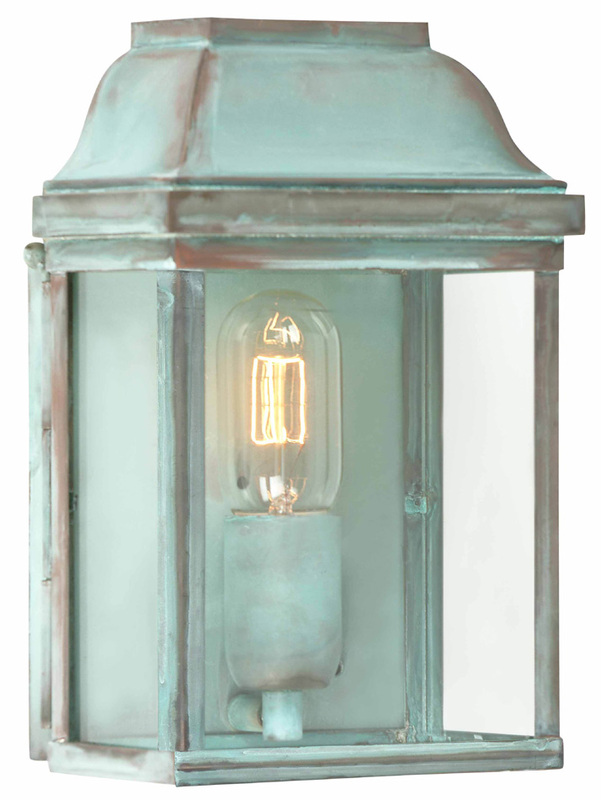 This Elstead Victoria solid brass outdoor wall lantern in verdigris finish is rated IP44 and handmade using original designs from the pre-Georgian era. Hand finished in verdigris for a totally authentic weathered look. Featuring a hinged door for easy lamp replacement and clear glass panels. Verdigris finish back plate for a warm inviting light and curved roof. The entire shape of this quality lantern closely resembles the flush style of post boxes embedded into stone walls. The definition Verdigris refers to the natural tarnishing of brass, bronze and copper metals which have been exposed to the elements over long periods of time. The colours vary according to how extreme each part of the metal has been affected and results in partial coverage. 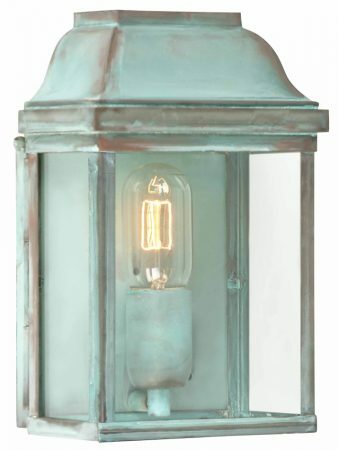 This classic light is supplied by Elstead Lighting, a British company that specialise in the manufacture and distribution of quality decorative lighting such as the Victoria solid brass outdoor wall lantern in verdigris finish and rated IP44 you see here.